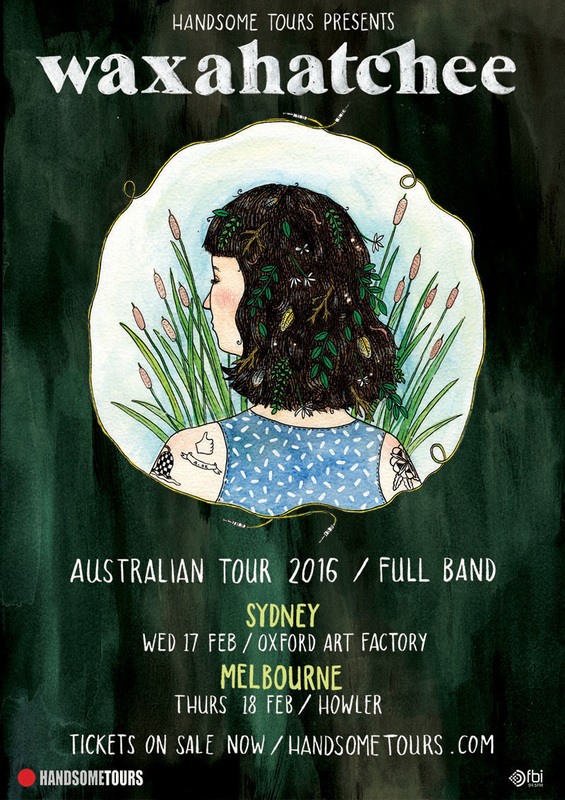 ​Waxahatchee (aka Katie Crutchfield) returns to Australia in February 2016 for headline shows with her full band at Sydney’s Oxford Arts Factory and Melbourne’s Howler. Following an acclaimed run of intimate solo shows in July, Waxahatchee’s February 2016 tour marks the Australian debut of her five-piece live band. 2015 has marked a breakout year for Crutchfield, with her third album Ivy Tripp released in April to universal accolades. Pitchfork hailed the album as “reminiscent of the best '90s indie rock: unhurried and natural and real” whilst the Austin Chronicle called Crutchfield “Cat Power for the next generation.” Mojo lauded the record as a “a complicated, slow-burning wonder” while Rolling Stone revelled in its moments punctuated by “frenetic pop joy”. The success of Ivy Tripp has jettisoned the Philadelphia-based songwriter into the global spotlight, touring with Kurt Vile and Sleater-Kinney, as well as playing festivals including Pitchfork and Austin City Limits. Waxahatchee made her Australian debut in July 2015 with a pair of rousing solo performances in Sydney and Melbourne. Now returning backed with a full band, Waxahatchee will perform her confessional, indie-rock anthems for Australian fans in all of their explosive, fuzzy glory. Raised in Alabama, Crutchfield’s early days saw her recording music with P.S Eliot, a band she had formed with her twin sister Allison. Following on from a cassette release of her first recording under the Waxahatchee moniker, Crutchfield released two critically lauded LPs (2012’s American Weekend and 2013’s Cerulean Salt) before signing to Merge Records and Wichita Recordings for the release for 2015’s Ivy Tripp.